As if I haven't already brought it up enough: I am trying to read more. Because of how crazy my life has been (and probably will be for the entirety of the summer), I am focusing on time-management and trying to get used to "busy" being my new normal. We all have the same amount of hours in the day, and getting everything done that we want to accomplish is truly a work of a time management more than anything else. That said, if I want to read more, then read more I will! I just have to prioritize it. Lucky for me, I am 110% a morning person. I love waking up early to workout if I can muster the motivation (the motivation to exercise that is... I'm up early no matter what, always), and I know that being awake for more hours literally gives me some extra time to accomplish everything I want to do each day. However, when it hits 4 PM, my days are jumbled and motivation is lost. Maybe it's that I sit inside at a desk for eight hours Monday thru Thursday, but by the time afternoon comes around, all motivation is shot and the evening can get a little unpredictable. Think something like this: I plan to work out, but then I get home, skip my run, and plop on the couch with ice cream, Netflix, and my dog. The moral of the story: I need an evening routine. And... I think that includes reading. No matter how hard I try, I know that reading before bed really isn't going to be my thing. I read maybe two pages and I am dead asleep. It works wonders to get myself tired, but if I'm actually looking to make my way through a book, I don't think that's going to be the way to go. So... I want to start reading when I get home from my internship! If I read from when I get home up until dinner time, that could be close to two hours of page-turning during a chunk of time that I typically know I wouldn't have gotten anything big done anyways. It's like productive relaxation. I am excited about this idea! Maybe now that I have put this out on the internet I will hold myself accountable to it. Oh, and I could totally do this on my front porch... in the sunshine... still with my dog. Yes! "...A collection of essays that are as hilarious and insightful as they are deeply personal. In Why Not Me?, Kaling shares her ongoing journey to find contentment and excitement in her adult life, whether it’s falling in love at work, seeking new friendships in lonely places, attempting to be the first person in history to lose weight without any behavior modification whatsoever, or most important, believing that you have a place in Hollywood when you’re constantly reminded that no one looks like you." "Isabella, Mary, and Lauren feel like everyone they know is getting married. On Sunday after Sunday, at bridal shower after bridal shower, they coo over toasters, collect ribbons and wrapping paper, eat minuscule sandwiches and cakes. They wear pastel dresses and drink champagne by the case, but amid the celebration these women have their own lives to contend with: Isabella is working a dead-end job, Mary is dating a nice guy with an awful mother, and Lauren is waitressing at a midtown bar and wondering why she's attracted to the sleazy bartender. " "As a young woman, Kate Betts nursed a dream of striking out on her own in a faraway place and becoming a glamorous foreign correspondent. After college—and not without trepidation—she took off for Paris, renting a room in the apartment of a young BCBG family and throwing herself into the local culture. She was determined to master French slang, style, and savoir faire, and to find a job that would give her a reason to stay." "Everything about Jessie is wrong. At least, that’s what it feels like during her first week of junior year at her new ultra-intimidating prep school in Los Angeles. It’s been barely two years since her mother’s death, and because her father eloped with a woman he met online, Jessie has been forced to move across the country to live with her stepmonster and her pretentious teenage son, and to start at a new school where she knows no one." "Claire “Neely” Davis is no ordinary pastry chef. 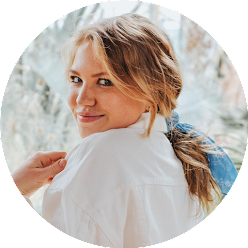 Her flavor combinations aren’t just a product of a well-honed palate: she can “taste” people’s emotions, sensing the ingredients that will touch her customers’ souls. Her gift has never failed her—until she meets a free-spirited bride-to-be and her overbearing society mother. The two are unable to agree on a single wedding detail, and their bickering leaves Neely’s intuition frustratingly silent—right when she needs it most." "On a warm summer morning in North Carthage, Missouri, it is Nick and Amy Dunne’s fifth wedding anniversary. Presents are being wrapped and reservations are being made when Nick’s clever and beautiful wife disappears. Husband-of-the-Year Nick isn’t doing himself any favors with cringe-worthy daydreams about the slope and shape of his wife’s head, but passages from Amy's diary reveal the alpha-girl perfectionist could have put anyone dangerously on edge. Under mounting pressure from the police and the media—as well as Amy’s fiercely doting parents—the town golden boy parades an endless series of lies, deceits, and inappropriate behavior. Nick is oddly evasive, and he’s definitely bitter—but is he really a killer?" "Identical twin sisters who couldn't look more alike...or live more differently. After more than a decade apart, Harper and Tabitha switch islands--and lives--to save what's left of their splintered family. But the twins quickly discover that the secrets, lies, and gossip they thought they'd outrun can travel between islands just as easily as they can." 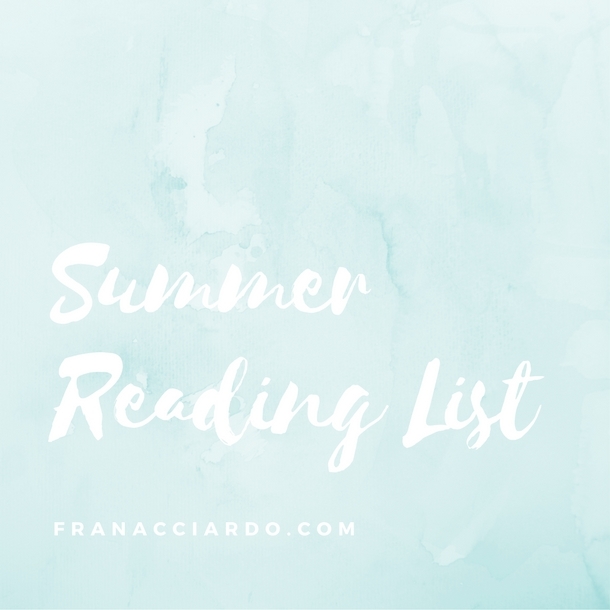 What's on your reading list this summer? I'd love to add to mine. Oh, and in case you're curious, my all time favorite summer book is actually a trilogy... The Summer I Turned Pretty trilogy by Jenny Han is my absolute favorite. I try to reread the books every single summer, and the last one never fails to make me cry!! I just finished Big Little Lies and Truly Madly Guilty and they were both AMAZING! They're written by the same author and they get me on the edge of my seat! This looks like the perfect summer reading list! I would love to read My Paris Dream. It looks like it would be a fantastic read. I liked Gone Girl until the ending. And I also have The Identicals on my to read list! The other books all sound really good - light and beachy reads :) Do you have a Goodreads?